Most of the world’s sheep population are kept as livestock in farms, while in the wild, sheep can be found in the mountains, tundra and in the desert. The different species of sheep can be found in Europe, North America, North Africa and Asia. Sheep are medium-sized hoofed mammals. Their domestication is believed to have taken place some 10,000 years ago. Sheep have since been kept as livestock for their wool, skin, milk and meat. 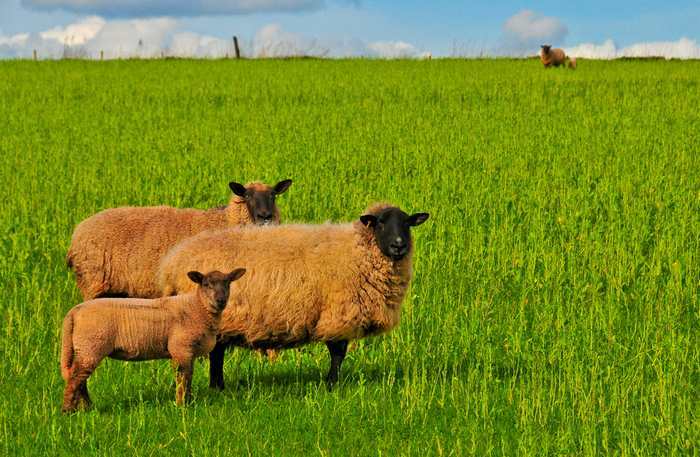 Depending on the species, sheep can live between 8 to 13 years. Adult male sheep, called rams, can weigh between 150 to 450 pounds, while adult female ewes weigh between 90 to 300 pounds. It is estimated that the domestic sheep population worldwide is slightly more than a billion.